Those emoticon addicted flip phone users have gotten older, but many of their communication habits have stayed the same. Emojis have become more and more relevant with 36% of millennials 18-34 preferring emojis over English to communicate their thoughts and feelings. 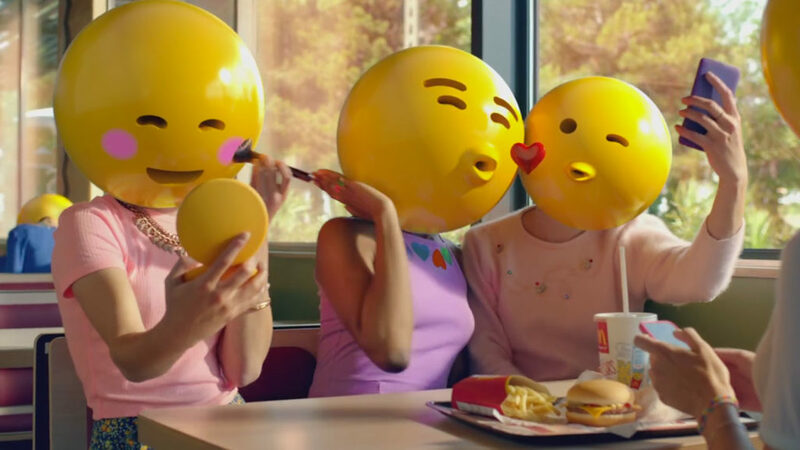 This love of emojis is being passed down to Gen Z and beyond proving that emojis aren’t going anywhere. Emojis offer a way to show emotion with little threat of an audience misinterpreting the intended emotions. One emoji uses up a tiny amount of space and says as much as a dozen words. They act as a visual magnet for certain sections of copy and if used correctly, can be used to highlight certain key points. Several case studies have shown that emojis grab the reader’s attention better than any other form of copy. Emojis are a bit of a cultural phenomenon. They have become more and more common in everyday conversation and have become accepted by most people in society. There’s no better evidence than the recent Emoji Movie. Emojis are just plain fun. With more and more people using emojis in everyday life, it has opened the door for marketers to hop on the emoji bandwagon. As an advertiser, emojis can disguise your Facebook ads and posts to appear like normal non-promoted content at a first glance. The more fun a post appears, the more likely people are to interact with your post. In turn, your post gains much higher organic reach through shares, likes, and most importantly, reactions. Facebook Reaction buttons have upped the game for advertisers. Having more options than the traditional “like” gives users more engagement options, which in turn can lead to higher organic reach. Sadness and anger are two very powerful emotions and can be harnessed in a way that engages the audience. It should be noted that all reactions are weighed the same regardless of the emotion it represents. Sadness and happiness are both equal on Facebook’s Algorithm, but the traditional “like” is actually regarded as less important. This is because the viewer actually took the time to choose a specific reaction over a simple “like” and likely absorbed the message more. Depending on your company’s brand/voice and or the industry you are in, you may want to avoid emoji use. A quirky or creative company might get great use out of them, while a funeral home should avoid them like the plague. Using emojis (especially for the first time) runs the risk of making a brand look less professional. They should be used both sparingly and strategically. The same amount of scrutiny should be applied for emojis as any normal copy. Emojis should be used similar to punctuation. You don’t want to smother a post with question marks or exclamation points. It looks unprofessional and unnecessary. Too many emojis makes a post annoying and essentially unreadable. Most importantly, emojis should never be used to replace important words. Describe what you need to describe and let the emojis fit in where you need emotion or attention. Which Emojis Should You Use? Positive emojis like smiles, laughing, or the ever important sunglasses emoji 😎 are all great ways to keep the branding positive. Think of the company or promotion. Are there emojis that fall into relevant categories? Consider finding the perfect emoji and sticking to it consistently in ad copy and organic content. Negative emojis should only be used on very specific occasions. Appealing directly to negative emotions is risky, but can often work very well in your favor if negative thoughts or ideas can help the brand or a cause you are promoting. Adding emojis to your ads is actually pretty simple. The trick is finding the best source with all the possible emojis. There are plenty of free sites like https://emojipedia.org/ that have all the emojis you could possibly need. 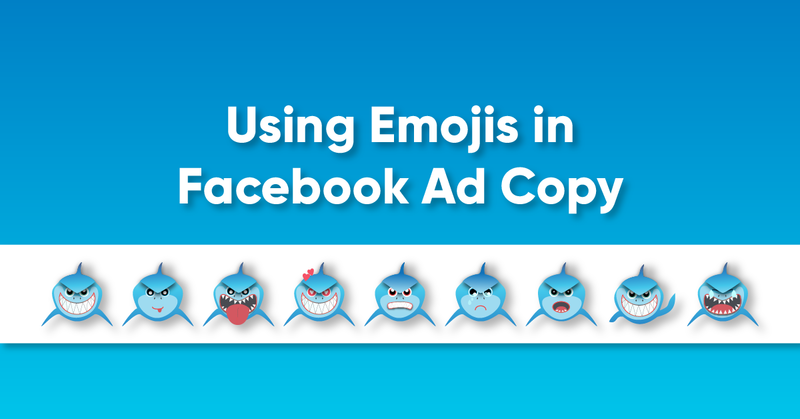 Once you find the right emoji, all you need to do is copy and paste the emoji into your ad. Pro tip: If you want to save yourself even more time, just copy and paste this list of the most common emojis onto a document or notepad app for quick access. If you’re a marketer, you should really consider using emojis in Facebook ads. They allow posts to feel more natural and connect to the reader on an emotional level. Emojis are fun and resonate with the ever growing audience of Millennials, and children. As demographics change, marketers will be scrambling to stay relevant in a digital world. Emojis will continue to be a consistent and evolving part of not only the English language, but global communication.